Marine accidents occurred again, this time Motor Vessel MV. 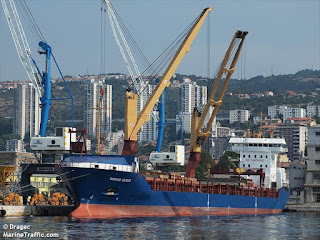 Thorco Cloud was sank after collision with motor tanker MT. Stolt Commitment near Pulau Sambu Island, Batam area , Indonesia and in the eastbound lane of the Traffic Separation Scheme (TSS) in the Singapore Strait. Six Filipino crewmen were missing Thursday after their cargo ship collided with a chemical tanker and sank off western Indonesia, officials said. Six other people were rescued. 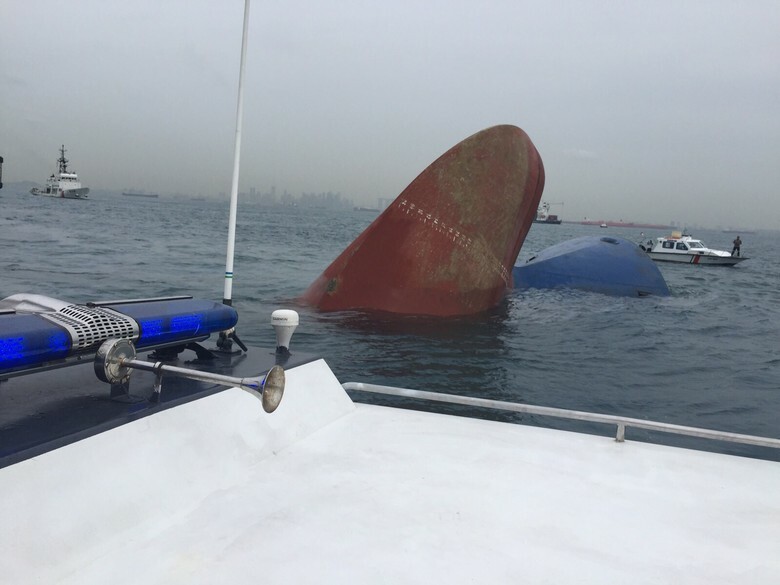 Six crew (ABK) MV Thorco Cloud V2FU6 that sank in the waters of Indonesia-Singapore border, Wednesday (16/12) night, has not been found. Strong suspicion, they are still stuck in the Danish-flagged cargo ship. Adobo Rodulfo Demate, Cabalhin Jeremiah Orcajada, Gabay Nino Reandilar, Kovalenko Vladyslav, Lunjas Fransisco.Panginahug Isagane Rentucan, Paquibot Paul John Aton, Petrovsky Volodymyr, Sanchez Frederic, Solis Arniel Lauron, Sumaculub Jose Myrvin Delos Santos and Tagle Willy Pingoy. 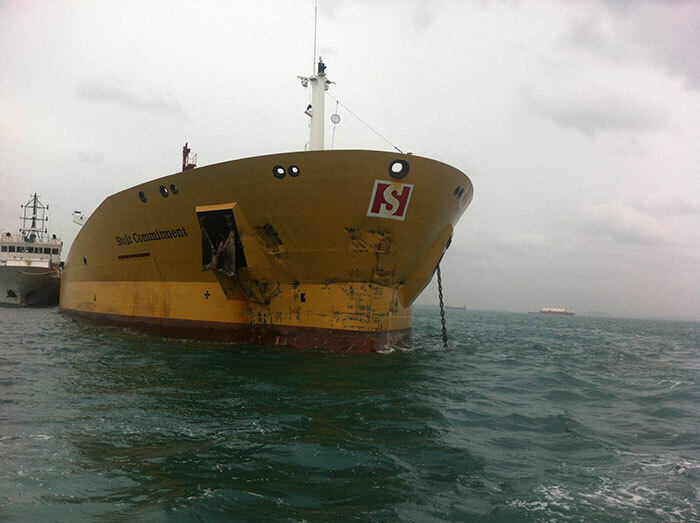 The Maritime and Port Authority of Singapore (MPA) has said in a release that chemical tanker Stolt Commitment and multipurpose general cargo vessel Thorco Cloud collided in the busy traffic line vessel at the eastbound lane of the Traffic Separation Scheme (TSS) in the Singapore Strait yesterday on December 16, 2015 about 20.30 hours local time as reported. 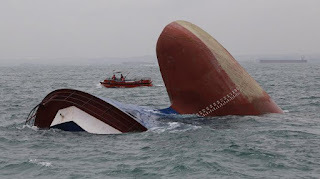 The Stolt-Nielsen owned chemical tanker sustained minor damage and is in stable condition however the Thorco Cloud, owned by Thorco Shipping, sank in Indonesian waters 6 nautical miles (11 km) north-west of Batam. MPA deployed two patrol craft for search and rescue operations, while Singapore’s Police Coast Guard deployed five boats, and five of the 12 crew members onboard the Thorco Cloud were rescued. A sixth was rescued by the chemical tanker, however six crew member remain missing. 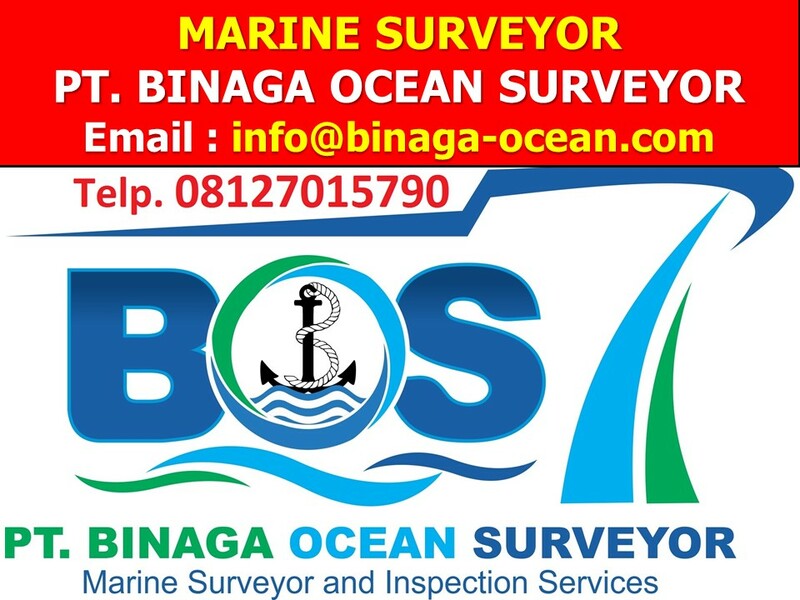 Indonesian authorities have also commenced search and rescue operations after been alerted by MPA. There is no disruption to shipping traffic in the Singapore Strait, and vessels in the vicinity have been asked to report sightings of the missing crew. The Danish cargo ship Thorco Cloud collided with the chemical tanker Stolt Commitment about eight miles (13 kilometers) off Indonesia's Batam island late Wednesday, port official Gajah Rooseno said. The collision ripped a large hole below the water line on the cargo ship, causing it to sink, he said. The tanker, operated by Stolt Tankers, suffered only minor damage. Rooseno said the cargo ship had 12 crew members from Ukraine and the Philippines and was operated by Copenhagen-based Thorco Shipping. Thomas Mikkelsen, CEO of Thorco Shipping, said the ship's captain was among those rescued. He said the vessel was coming from Japan and was en route to western African before crossing to Brazil. Rooseno said authorities were investigating the cause of the collision, but that early evidence indicated that one of the ships had attempted to take a short cut and violated traffic separation rules. Colonel Ribut Eko Suyanto, chief of the naval base in Batam, said more than 100 rescuers were deployed on three navy ships and seven rescue boats to search for the missing crew members. The search was halted after nightfall and would be resumed Friday morning, he said. "We will investigate the possibility that the missing crewmen are trapped under the wreckage," Suyanto said. He said anti-pollution craft from Singapore were on standby in case of an oil spill. The cargo ship was carrying about 560 tons of fuel, Rooseno said. Mv, Thorco Cloud was departured from Batu Ampar Port, Batam after completion loading of steel pipe cargo for oil and gas industry for Durban and Motor tanker MT. Stolt Commitment was departure from Singapore to Taiwan after completion loading a chemical cargo. Please see video below to drawing details this collision damaged and sank of the vessel Mv. THORCO CLOUD while Product tanker STOLT COMMITMENT collided with general cargo vessel THORCO CLOUD at around 12:15UTC on December 16 in Singapore Strait, some 7 nm northwest of Indonesian island Batam. Vessels collided while proceeding on intersection courses, STOLT COMMITMENT left Singapore for Kaohsiung and was sailing in traffic separation zone in northeast direction, THORCO CLOUD was en route from Batu Ampar Indonesia to Durban SAR, and at the time of collision was sailing in northwest direction entering traffic separation zone. 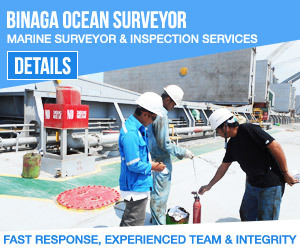 in case you need a marine surveyor for investigating this collision damaged, please do not hesitate to contact us for conduct the P&I Survey cases regarding this issued. 0 Response to "Motor Vessel MV. Thorco Cloud was sank after collision with motor tanker MT. Stolt Commitment near Pulau Sambu Island, Batam"